A lot of renters set their sights on homeownership. In fact, it's said that 80% of millennial renters in the United States plan to own a home someday. People who have always rented often have a hard time judging when it's time to buy. Purchasing property takes time, commitment and most of all, money. Knowing what's needed can help renters determine when they're ready to buy a house. Renters who wish to buy a home need money up front for the down payment, closing costs and the move. A typical down payment on a home will be anywhere from 3.5% of the purchase price of the home, to 20%. The amount needed for the down payment depends on the type of loan the buyer plans to get. FHA loans typically require the smallest down payment, but also require the buyer to pay for a monthly mortgage insurance. Conventional loans require the biggest down payment. Renters who aren't sure what kind of down payment they qualify for can talk to a mortgage lender to find out more about the different kinds of loans. Closing costs can amount to about 2 to 5% of the purchase price of the home. The actual amount buyers can expect to pay for closing costs will depend on many factors. Sometimes buyers can arrange for the seller to pay closing costs. Home buyers who want to know more can talk to their real estate professional about this option. Finally, home buyers need money up front to pay for the move. The actual costs of moving can vary by quite a bit. Home buyers who aren't sure whether or not they have the money for relocation should talk to movers and investigate the costs of a DIY move. Homeowners spend a lot of time repairing, upgrading and improving their home. Knowing how to paint a room, unclog a toilet, hang blinds, patch drywall, put up shelves and make other small changes can save hundreds or thousands of dollars each year. Renters who have never had the experience of making basic home repairs can benefit from hanging out with a homeowner friend and spending time working on household projects together. It's estimated that a typical homeowner will spend about 1% of the value of their home in maintenance every year. Some homes can cost much, much more. Home buyers who purchase a fixer upper can plan to spend thousands on various repairs, even if they're planning to do the work themselves. 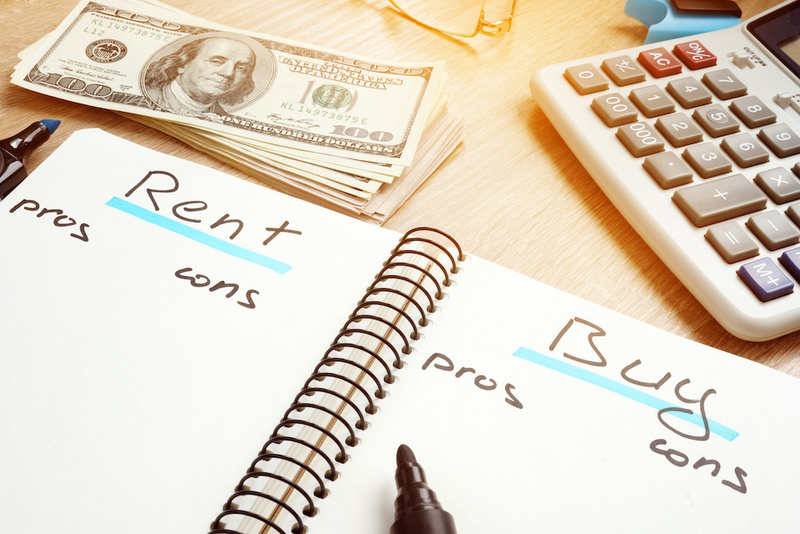 Renters who aren't sure if they have the money to perform the annual maintenance on a home can start by looking at their budget and determining how much money they would have on a monthly basis to make home repairs. For someone who has always rented a property or home ownership in Lakeway or elsewhere—can look very intimidating. That said, homeownership is also very rewarding. A home is an investment that pays off in countless ways. Homeownership is about making choices, having control and reaping the benefits. If you're a renter who is thinking about homeownership, talk to an experienced real estate professional. Your real estate agent can answer your questions and help you decide if now is the right time to buy.